Still time to register for Photoshop School this weekend! A recent Webinar workshop comment. "I love this type of workshop as it allows me to get interactive whilst still being at home, plus I get to follow the techniques on my own computer." 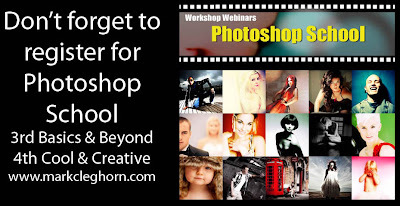 JOIN MARK CLEGHORN ON These FULL DAY Photoshop Webinar WORKSHOP. Dates : Saturday 3rd & Sunday 4th December - Time : 10.00am - 5.30pm Location : ONLINE In your own home! These Webinar workshop on Photoshop cover everything from the basics to more advanced techniques all designed to push your working techniques and creativity. Creative Photoshop and good work flow for photographers has always been Mark Cleghorn’s goal, his techniques have inspired tens of thousands of photographers across the world helping them get back behind the camera and shoot more, using Photoshop for enhancement and not always for correction. What happens on a Workshop Webinar? – Each Workshop Webinar is split in to 4 sections of 1hr during the day, with 30 minute breaks to allow you to practice the techniques as well as feedback any problems you are having as you get the chance to interact online during the day. What will you need? 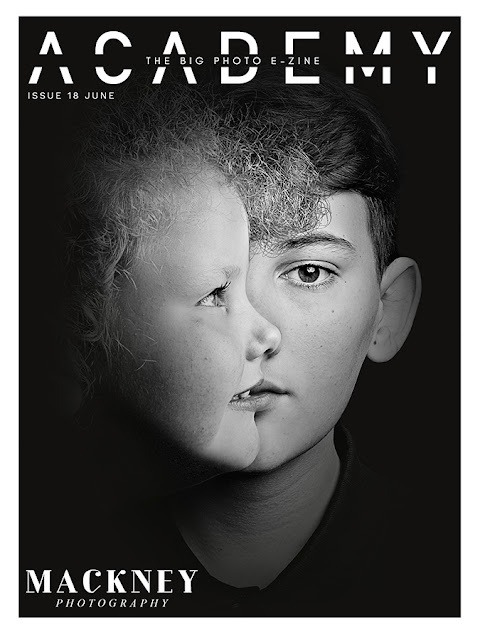 – You will need an internet connection and if you want to practice the techniques live, you will obviously need Photoshop on your system. When should I book? – As soon as possible as places are limited. Plus you will need time to download the webinar software as well as register for the event. Who are the Webinars Workshops aimed at? The webinar workshops are aimed at all levels of photographer from beginner to the experienced user, however please look at each topic and see who it is aimed at. When will I get the FREE STUFF? – Any products that are being given away during the session like Actions or Film Downloads are available after the Webinar unless stated as a part of the workshop. So whether you are a full time pro or an amateur photographer, an experienced Photoshop user or Beginner the question is “ Can You Really Afford Not To Attend? as these Webinar workshops will help change the way you work with images from capture to output.